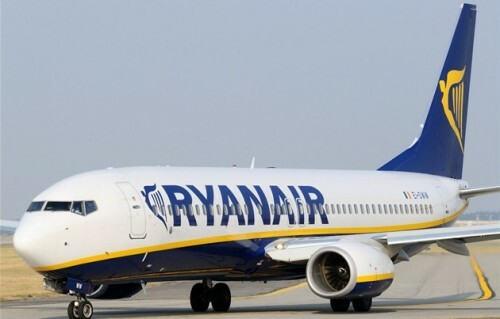 Ryanair opens new route: cheap flights to Lisbon airport! Good news for all low cost travellers! Sixteenth September was an exceptionally good day for many citizens of Portugal living in or close to Lisbon. On that day, Ryanair announced they will open new routes from/to Lisbon airport. So far, Ryanair operated flights only to Porto in the North and Faro in the South of Portugal while Lisbon remained omitted. This changes now with 4 new routes being launched from November 2013. Passengers will be able to fly between Lisbon and Brussels Charleroi, Frankfurt Hahn, London Stansted and Paris Beauvais. Lisbon was lacking low cost airlines for long time with only Easyjet operating at the airport besides classic airlines. This will now change with arrival of Ryanair who plans to deliver over 400 000 passengers per year. Fares on these new routes from Lisbon should start at €25.99 but we can also expect traditional Ryanair sales which can push down the price even lower. « Cheap flights Wroclaw-Morocco for only €70!